Special Fasteners manufactured using exotic materials, brass, bronze and alloys to produce Bolts and Nuts to meet a variety of high-performance requirements for fasteners. Special fasteners are produced by hot forging and CNC precision machining from this range of exotic materials, producing fasteners of high integrity. Fastener product manufacturing ranges include Hexagon Head Bolts, Socket Head Capscrews (Allen screws), Engineers Studs, Hexagon Nuts, Cup Square Bolts, Nib Bolts, Nuts and other specialised and unique fasteners. Special bolts and nuts are designed to fasten materials under severe circumstances. 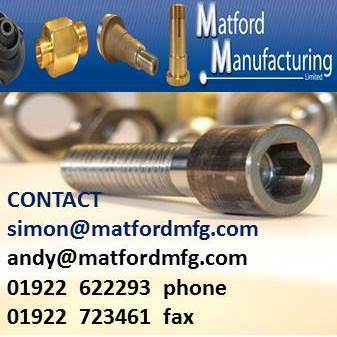 Extreme pressure, and resistant to corrosion are only a few of the many reasons to have a fastener specially produced.